Written by Tal Sweet about 8 years ago. Written by Brian Broughten about 8 years ago. Nice job Matt! cant wait to see the Lightning in there. Written by MSB about 8 years ago. 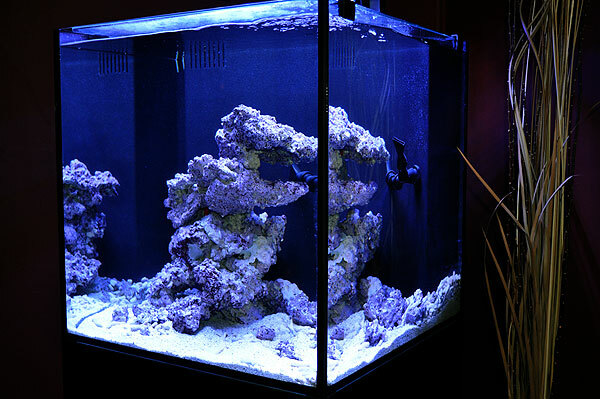 I think the lightning Maroon will have a beautiful new home, but the free tank is being used more for personal enjoyment and a new reef than the ultimate goal of breeding the lightning maroon. The tank is being designed for being an SPS tank, and it should be totally committed to keeping and breeding the Lightning Maroon. You are choosing not to even give the Maroon an anemone because it will conflict with the corals you’re planning to keep. Ultimately I see this as a misuse of a free aquarium which was meant specifically to house and help breed the Maroon. It appears to me as if you are only using the Lightning maroon to get a free new tank for your SPS corals and keeping the Lightning Maroons needs second! If this course of action is continued I only see it being a much much longer time before, and if the lightning maroon is ever bred. While the Lightning Maroon will have a lovely new home. I think this ‘breeding project’ is getting off base. This lovely new tank is not being solely designed nor purposed for breeding and caring for such a rare clownfish. Instead the maroon is being used to garner new FREE equipment for an SPS tank? 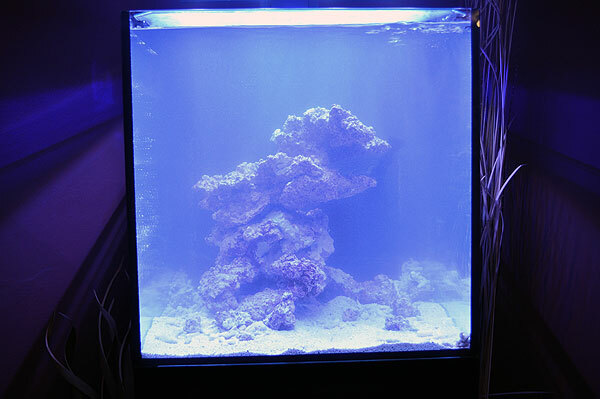 Even deciding to not get a LTA for the Maroon because it may interfere with the coral being choosen for the tank. So i ask you, is the coral getting first priority here, or is the precious Lightning Maroon? Hey MSB, you’ll note that I certainly had the option to ignore your comments and not allow you the ability to post here, but what fun would that be? Let me address your big concerns. First, as I’ve pointed out to many detractors, the fish has spent months in a safe environment to breed with a much larger Maroon. I’ll say it up front and repeat it later – clownfish breeding is generally measured in years. That should not be a surprise unless you simply didn’t know. 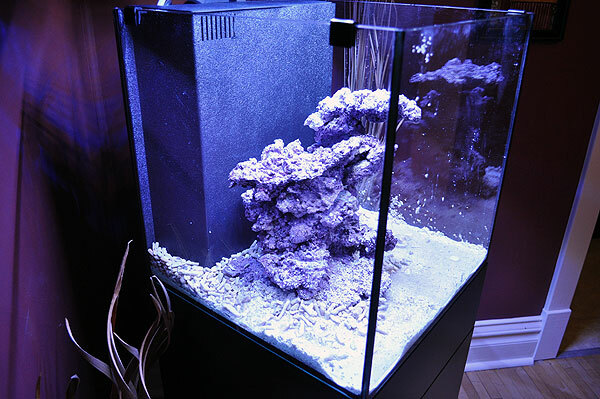 This process of setting up a new tank is part of the “transition” you’re seeing from Plan A to Plan B. 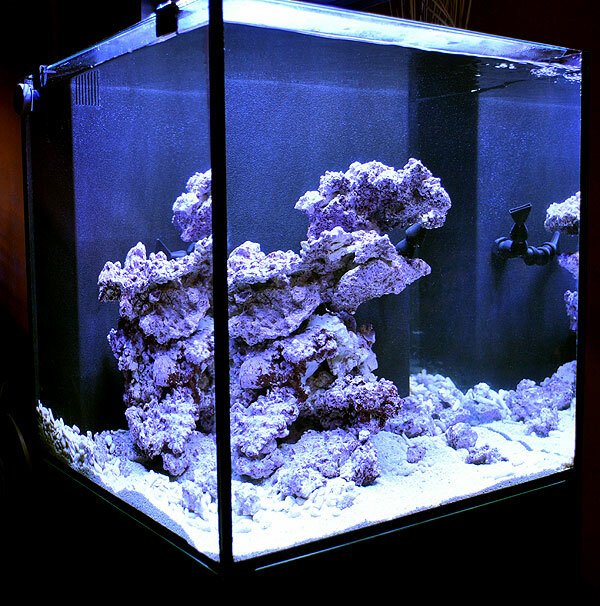 It would be downright STUPID to just set up this tank, toss the Lightning Maroon into it and walk away. 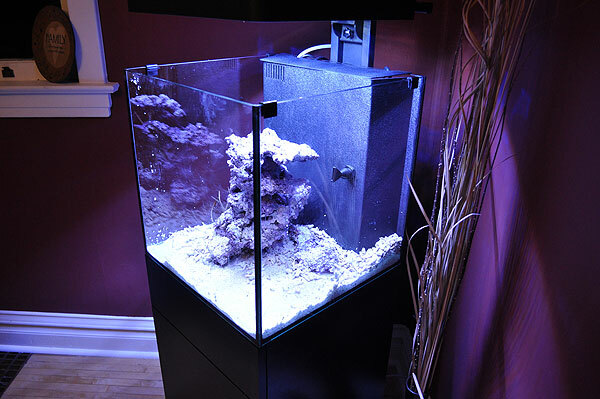 Any new tank, “reef” or “sterile”, is going to have a cycling period. This is why the Labrador Maroon was moved in, and since it is no longer part of the “keep the Lightning Maroon male” plan, since that plan is thrown out the window, it doesn’t matter if I lose a few weeks during this transitional phase. Second, why shouldn’t the Lightning Maroon have a truly beautiful home? Why shouldn’t this fish be a showcase specimen? Why would it be wrong to keep SPS, but right to keep a “LTA” as you call it (Long Tentacle Anemones, for what it’s worth, are NOT natural hosts for Maroon Clownfish BTW). Has it not occurred to you that setting the bar HIGHER when it comes to water quality is only going to benefit the fish I’m keeping? Are you aware that anemones are fundamentally not necessary in any way for clownfish to breed? I’m assuming you’re not aware that unlike most breeders, up until last year every broodstock tank I kept was set up as a reef tank? My ocellaris, black ocellaris and onyx perc broodstock all lived in and spawned in reef tanks. It’s a completely viable approach to broodstock. I certainly know that Rod Buehler, producer of “Rod’s Onyx” Percs, has all his broodstock set up in reefs with deep sand beds. So what is the priority? The priority now is to set up the dedicated home for the Lightning Maroon and its future mate. I’m stumped as to why I can’t enjoy the process along the way The change of course is that since viable PNG Maroon Clownfish females are no longer a possibility, the Lightning Maroon will become female so that it can be mated with one of the 2 PNG Males I have. The priority now is to continue to use my wisdom and well-earned patience to not get my feathers ruffled over detracting comments and people who only see one goal – “make more lightnings” without really understanding there are more considerations than simply the shortest path to breeding. The priority is, and always has been, breeding the Lightning Maroon in the “right” way as I’ve described in other places. That means that I’m not in any huge hurry because clownfish breeding projects are most often measured in years, not weeks or months. Any experienced clownfish breeder understands that. I’ve waited for months hoping that it would spawn with the female it was paired with while waiting for more suitable females. Only this last week did I actually “change course”, starting the ball rolling on this direction. As far as the equipment being “free”, it’s not really “free” and I do take some offense at your grumblings about it. 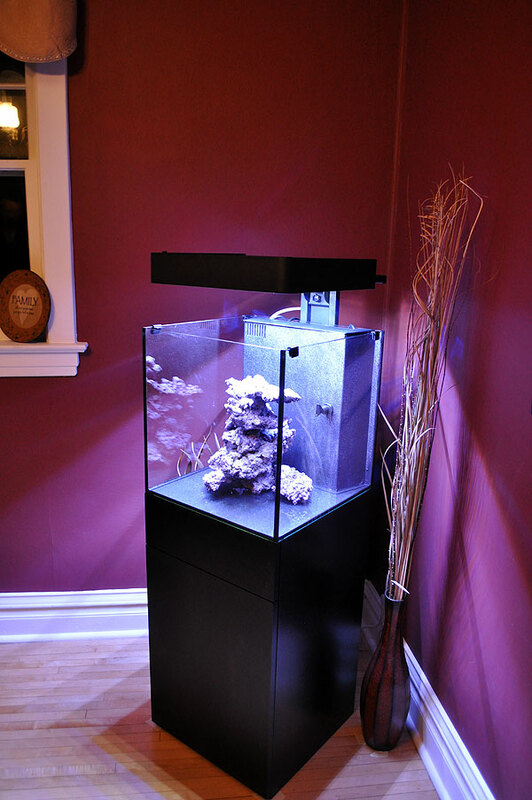 I’ve spent many evening hours documenting, photographing, writing and revising my reviews of these products on ReefBuilders.com. I’m not paid any money to write for ReefBuilders, but I spent hours each week doing so. No, in reality, this is probably more of a “fair trade” and then some, and most of my writing at ReefBuilders has no “upside” for me period….It is truly just a labor of love. That said, a lot of what you see here was not free. I paid for the CaribSea sand. I paid for the Nano Mag. I paid for the C-Balance 2 part I’ll be dosing with. I paid for the new electrical wiring I had to have run in the house for this tank. I paid for the Salifert Test Kit I’ll be using to test my calcium levels. I paid for the Reef Crystals salt I’ll be running. I pay the electrical bill that keeps things going. I paid for the high quality surge stripes. 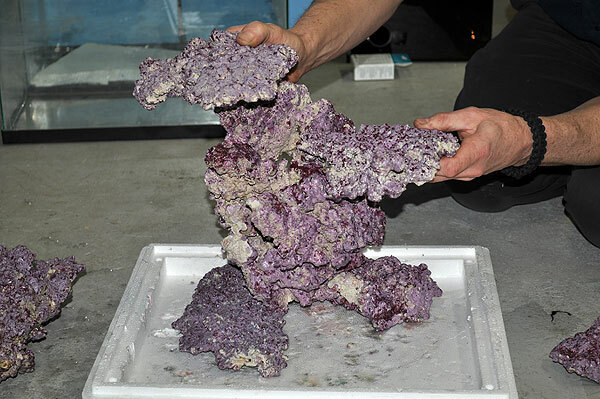 The corals that are coming have been obtained in trade for fish I’ve raised. I pay for this website, and honestly, I paid quite a bit for that Lightning Maroon. Consider that I am still not a commercial producer, and I probably dump thousands every year into the breeding projects. That R&D is done free and shared with the world whenever it happens. So when you criticize that certain elements of what you see here were “donated” to the effort, understand that I didn’t explicitly ASK for these things or go seeking out particular vendors, they were offered. As a general rule, I in fact decline things I’m offered because I believe people should be paid for the goods they produce. I also let people know my opinion is never for sale. But when it comes to certain items, when there is direct benefit for the people who are joining the project and they are things I am personally interested in and could not afford, I basically said “why not” and thus, you’ve seen some really nice contributions that otherwise wouldn’t have happened for this project. In the end, I write about whatever there is to write about. Right now, it’s the new tank setup. Two weeks ago, it was the unraveling of Seasmart. The Lightning Project will always go where the story is…and right now, for another couple weeks, I can guarantee there won’t be anything to say about the Lightning Maroon as it sits and waits. Written by Swanwillow about 8 years ago. I can’t wait to see more pictures and updates. I never suggested to throw the Lightning Maroon in immediately after setting up the tank, and just like you said it would be irresponsible, so your rant about not doing so is out of left field and unwarranted! Yes the Lightning Maroon deserves a beautiful, well kept home and your remark about having the best water quality is correct. however you seem to be designing the tank for your own likings and not the Lightning Maroon. The lightning Maroon should have the best water quality to sustain and keep any kind of invertebrate, SPS or otherwise. 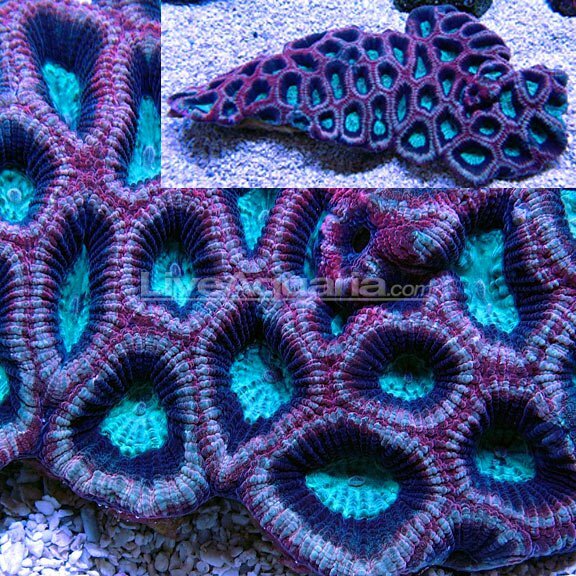 However that does not mean you should be giving priority to keeping various SPS or other corals instead of the focus being on the Lightning Maroon itself. This is after all a ‘Lightning Maroon Breeding Project” and IMO you are not focused and dedicated enough to the goal at hand. You have one of the rarest Clownfish in captivity and the goal is produce more Lightning Maroons. The way in which you are attacking the goal at hand is inappropriate. Your arguments are invalid and I hope that the Lightning Maroon is bred sooner than later, instead of being used as a show piece/status symbol in your possession. Written by koral about 8 years ago. Koral, you’re right no doubt, but even Trolls deserve our “love”…or at least the dignity of a response. MSB – To simply say what I am doing is “inappropriate” and “invalid” without backing it up is nothing more than empty rhetoric. What would you do differently, and how am I “falling short”? Please do share your own marine fish breeding expertise and wisdom, because frankly, I’m not really going to humor your empty criticisms if they’re coming from someone who doesn’t have the knowledge, experience and understanding to really be coming from a point of understanding the entirety of the project in the first place. By all means, tell me how to do it BETTER, not differently, but BETTER, and explain exactly why I’m “wrong”. There have been other critiques from people who truly just don’t “get it” and I think that’s where this is coming from. If you aren’t familiar with breeding marine fish, including clowns, impatience on your part could be understandable, if misguided. You can pair up 2 clownfish and have nothing happen for years. You can simply move a spawning pair and they’ll stop for weeks, months, or even never spawn again. I’ve seen this “sooner than later” argument before and in light of those simple truths, and in light of the fact that the fish has had a mate available to it for MONTHS now and simply has not spawned, you’re just 100% off base. I find it simply a lack of understanding to say that I’m “not focused and dedicated enough” – the fish has had a mate available to it, good water, plenyt of food and time. That’s what it takes – TIME. Breeding moves at it’s own pace with clownfish. Should I post every day “no spawn today”, “no change today”? Is that what it takes to prevent such criticism?? To write about what’s not happening? 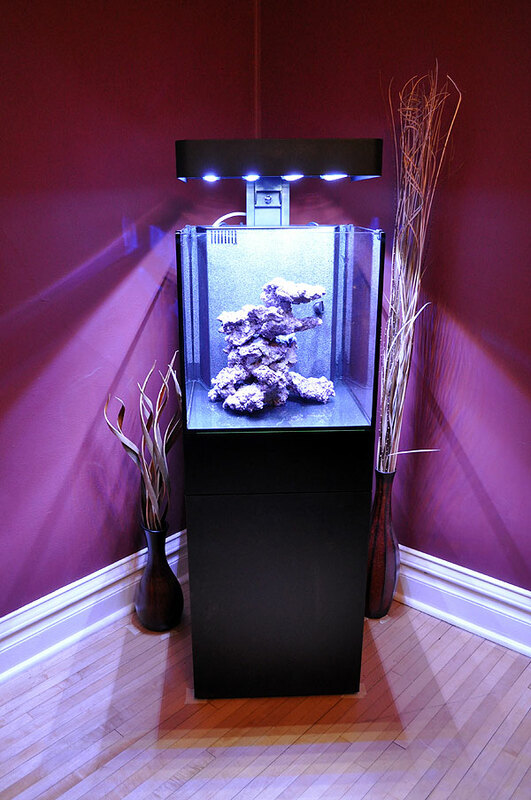 What I do with SPS or other corals in this future home of the Lighting Maroon is truely irrelevant to the breeding project. The simple truth is that they are independent goals for the tank. The goals are not mutually exclusive, and if anything, setting the higher bar for water quality that’s required by SPS is only going to be in the best interests of the other inhabitants. So no, the coral are not the “priority” here as your criticisms suggest, let alone pushing the Lightning Maroon to the back seat. 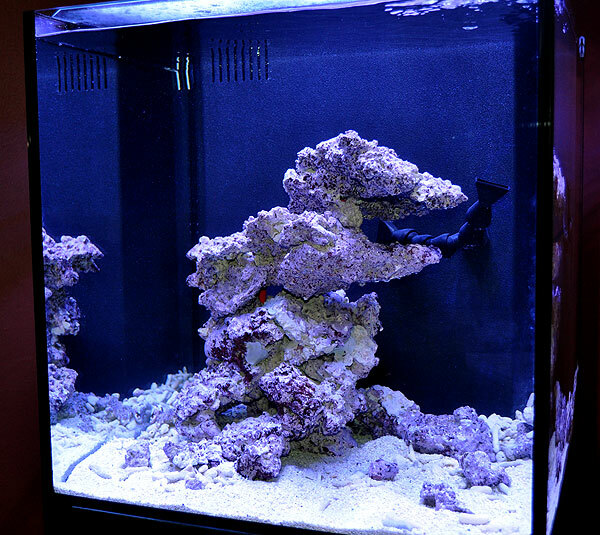 SPS is simply another facet of the tank. Has virtually nothing to do with the breeding of the fish. However, setting up the new tank IS a “priority” to give the fish a better environment for breeding, and that’s what is going on in the project right now. And that’s why it’s part of the blog. Still, it’s not like planning for SPS in this tank in any way prevents also planning for the Lightning Maroon spawning in this tank. That seems to be the base of your critique, but the reality is that once the tank is established, I could just as easily throw a flowerpot in that tank and call it a day – it’s not going to matter to the breeding project one bit. Bottom line MSB, you need to realize that a clownfish breeding project requires patience. It doesn’t happen overnight. Criticizing the fact that it hasn’t happened yet as some personal shortfall on my part, I won’t accept, because it’s simply without merit and the facts of Clownfish breeding suggest otherwise. Sure, I don’t have the resources of an ORA or Sustainable Aquatics, but if the shortest-path-possible to ANY mating of the Lightning Maroon was all that mattered, I wouldn’t have been the breeder selected for this project in the first place. Written by Real Reef (TM) Live Rock about 8 years ago. “Please do share your own marine fish breeding expertise and wisdom,” – I have spent over 36 years in the Marine hobby and industry. Being raised in a house with a 3,000 gallon saltwater aquarium and had success with pairing and breeding clownfish at an early age. “ By all means, tell me how to do it BETTER, not differently, but BETTER, and explain exactly why I’m “wrong”.” – 1. You should have had a dedicated home for the Lightning Maroon from the moment it arrived to you. 2. It should have never been exposed to any possibility of stresses as you did by allowing it to be in a system where another fish could have pecked at his fins. “You can pair up 2 clownfish and have nothing happen for years. You can simply move a spawning pair and they’ll stop for weeks, months, or even never spawn again.” – As you stated even a breeding pair can stop by moving them for months or even never spawn again. So it doesn’t make sense, if you are aware of this, why you would expose such a rare clown to delay or perhaps never spawn by taking care of it in such a manner. “So no, the coral are not the “priority” here as your criticisms suggest, let alone pushing the Lightning Maroon to the back seat.” – I have to quote another post you made where you gave priority to a coral instead of what you thought the Lightning Maroon would benefit from. 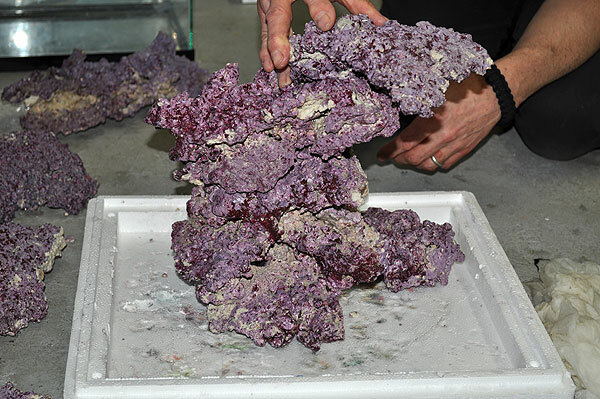 “Initially I had really wanted to put a Green Bubble Tip Anemone in place – this is the natural host for the Lightning Maroon. However, the wandering habits of BTAs conflict with the concept of a SPS tank, so instead, I’m leaning towards some big green Goniopora sp. to act as a host perhaps. I have a thing for Brain Corals – a teal and brown Maze Brain (Platygyra spp.) 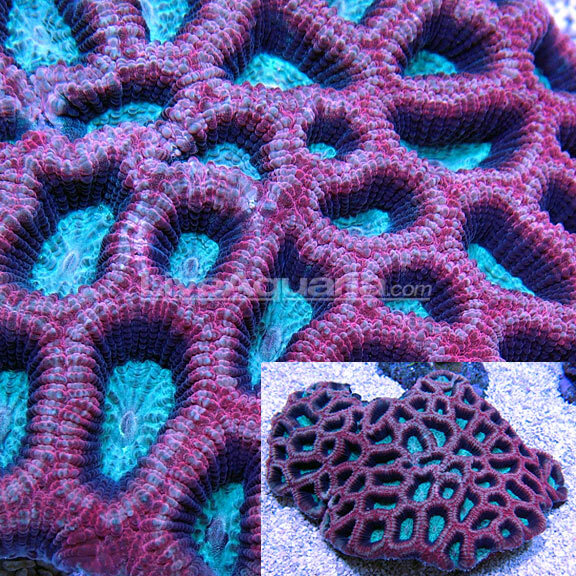 has been a must on my list for half a decade, and lately some of the Australian Prism Brain Corals (Goniastrea palauensis) showing up in the Diver’s Den have been beyond drool worthy” – This statement clearly shows you are choosing to use the tank for your own preferences and likings and not first and foremost for the Lightning Maroon. 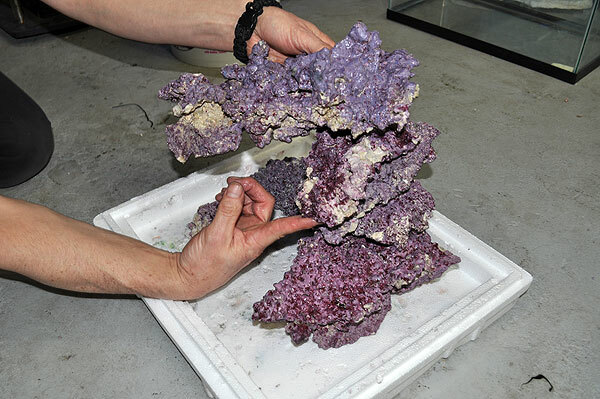 “However, setting up the new tank IS a “priority” to give the fish a better environment for breeding, and that’s what is going on in the project right now. 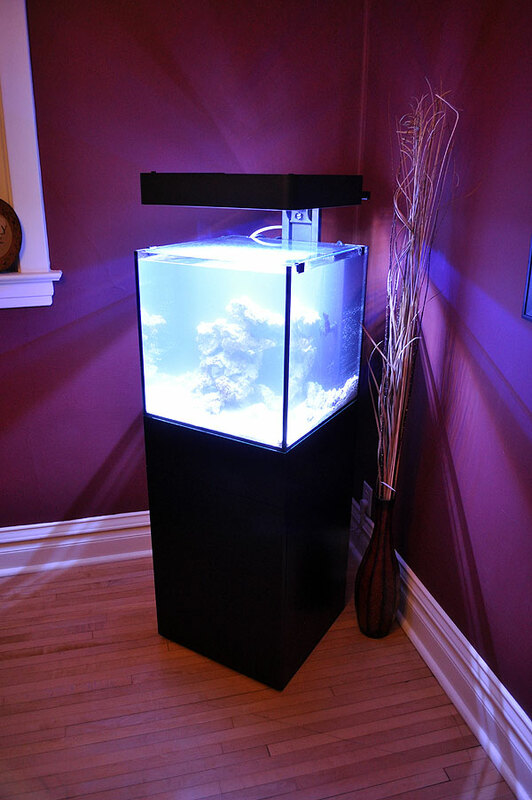 And that’s why it’s part of the blog.” – Your discussion of setting up the tank in general was never a criticism, and I never stated anything wrong with discussing setting up any aquarium for the Lightning Maroon, rather it’s your intent and plans for that tank which are in question. 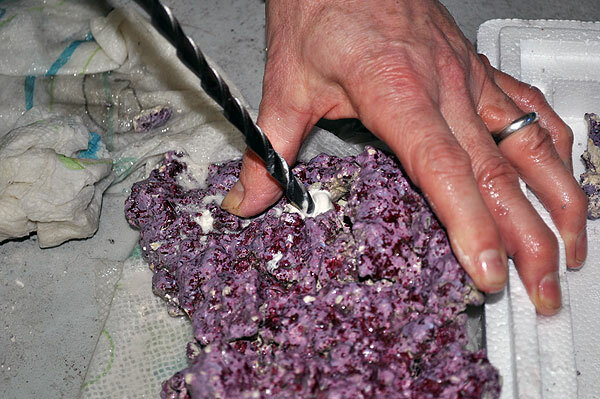 “Bottom line MSB, you need to realize that a clownfish breeding project requires patience. It doesn’t happen overnight. Criticizing the fact that it hasn’t happened yet as some personal shortfall on my part, I won’t accept, because it’s simply without merit and the facts of Clownfish breeding suggest otherwise.” – The fact is and as you have stated that even just moving a breeding pair can put a halt to that pair ever breeding again. I agree that patience is important when breeding any kind of marine organism and that cannot be argued with. However, your actions could easily be causing undue delay to the breeding process for the Lightning Maroon. You have been given a big responsibility in preserving this rare clownfish and for future generations. PNG is closed for the time being and it’s not unlikely to think that you may be the only one to ever get a wild caught Lightning Maroon. By not taking every precaution possible to care for, breed and raise the offspring of such a rare clownfish is an irresponsible act! Well it would seem that in actuality, you largely concede to my points seeing that you agree with most of what I wrote. So I’ll only address those points where you’ve fallen short. MSB >1. You should have had a dedicated home for the Lightning Maroon from the moment it arrived to you. MP > It did. It went straight into QT with the PNG female it was to be paired with. When the female broke down after starting to recover, the decision was made to move it to another well-established tank in isolation. So your facts are wrong on this one. MSB > 2. It should have never been exposed to any possibility of stresses as you did by allowing it to be in a system where another fish could have pecked at his fins. MP > Your opinion. I look and say “it’s a MAROON CLOWN”, it should handle itself. And still, I took the precautions of protecting it from even it’s second-choice selected mate (the Labrador), and when fish were nipping at it through the eggcrate barrier, they were removed immediately. In my opinion, took very reasonable precautionary measures to protect this fish from interactions with other fish, while at the same time affording it the opportunity to mate, as a male, with a large (but less than ideal) female Maroon mate. MSB > why you would expose such a rare clown to delay or perhaps never spawn by taking care of it in such a manner. MP > That’s just it, I did not expose it to “delay”…it has had the Labrador mate available to it for months now. So once again, your facts are wrong. 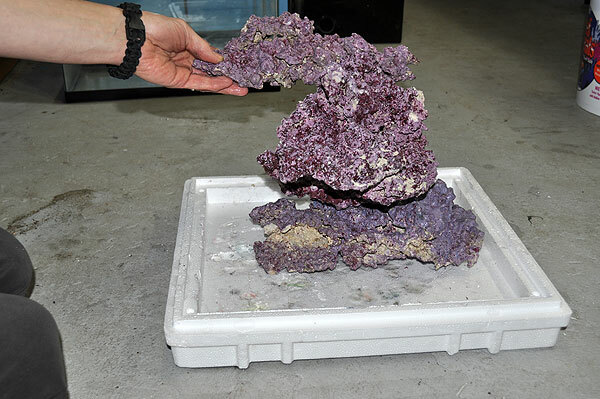 MSB > This statement (regarding my choice to not offer the Lightning Maroon a Bubble Tip Anemone host because it may wander and sting other corals) clearly shows you are choosing to use the tank for your own preferences and likings and not first and foremost for the Lightning Maroon. MP > Wow, you certainly like to put a spin on things. If you really have clownfish breeding experience, substantial experience, you’d know that in commercial settings clowfish are not normally given ANY live host. 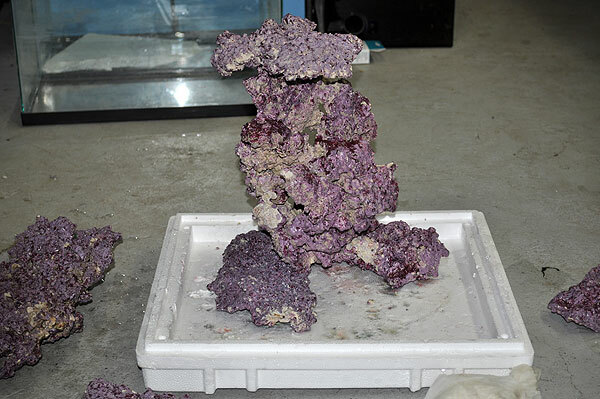 You’d also know that they certainly do not require an anemone for spawning, and in fact, many breeders look at the inclusion of an anemone as problematic, not beneficial. So no, the reality is that I put the SPS as a priority over an ANEMONE. Has nothing to do with the Lightning Maroon, who truly will not be affected in either direction by this choice. MSB > The fact is and as you have stated that even just moving a breeding pair can put a halt to that pair ever breeding again. I agree that patience is important when breeding any kind of marine organism and that cannot be argued with. However, your actions could easily be causing undue delay to the breeding process for the Lightning Maroon. MP > This is simply conjecture and arguing what-ifs. The fact remains that there has been an available mate for the Lightning Maroon pretty much during this whole process. Sure, if I had the resources and space of a large commercial hatchery, I probably could’ve just thrown this fish in with every spawning female Maroon I had until I got a spawn. And that just as easily might have gotten it killed. MSB > You have been given a big responsibility in preserving this rare clownfish and for future generations. PNG is closed for the time being and it’s not unlikely to think that you may be the only one to ever get a wild caught Lightning Maroon. By not taking every precaution possible to care for, breed and raise the offspring of such a rare clownfish is an irresponsible act! MP > Being patient and cautious and sticking to a plan of doing it the “right” way vs. the “quickest” way is hardly irresponsible. But in the end, my plan is not the plan that other breeders would have implemented. The people involved who had a say chose my plan, not the others. If you need a refresher of the plan, please see the “about” link for the site. So while you may continue to be critical, most of the critique levied is either opinion where neither of us can be right or wrong (well, I’m more right because it’s my project, not yours), or a misrepresentation of the facts solely to attack my efforts at this project. So we’ll probably have to just disagree going forward. Written by elduderino about 8 years ago. MSB, would you just take it easy man, you’re being very undude. Written by Fraggle Rock about 8 years ago. Wow MSB sounds like a little jelousy. Leave the guy alone I think everything he has said up to this point about his project has bee very well thought out, time organized, and done with experience. MSB if you read his earlier post he did ask you not to respond unless you had something of intelligence to say.. HAHA she called you a troll..